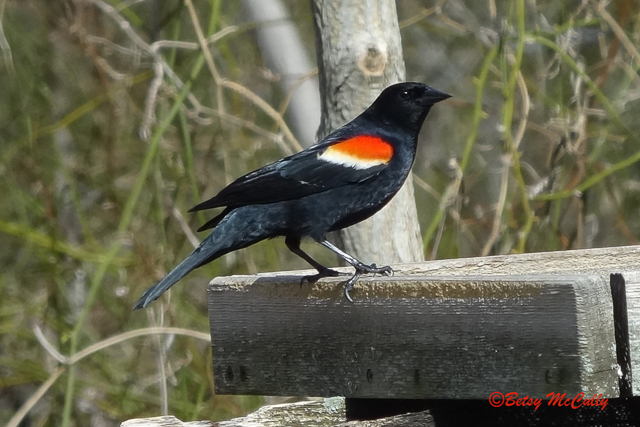 Red-winged Blackbird (Agelaius phoenicius). Male. Marshes. Breeder.